Based on the feedback gathered in the thread I posted a while back, I've begun thinking about this article. Basically, what I want to do now is find a structure that allows me to present and convey what I believe to be important principles about this part of the game while also tackling specific problems that arise during a game and what you can do about them. Below is a rough, first draft. I'd like your input on the structure as soon as possible so we can find a common ground for how to discuss this topic and then flesh it out more and more. Part 1 - What does planning ahead mean? - Block his best moves where possible. Make them risky if not. - Warhammer is inherently a very risky game. Crucial events can completely turn the tables around. Be ready for this and know what to do if A happens, if B happens, if C happens. - You don't always have to be ready for everything, but at least give a thought to "what if..." so that you've made a conscious decision to disregard certain situations that could appear. - We know have a solid, theoretical understanding of our topic. Time to dig deeper and explore in-game problems that frequently happen! -- Combat units not working together: Denied by the enemy! -- Anticipate the flee! I cannot stress this enough and intend to set up multiple cases here to demonstrate how much this impacts the game. - Collection of useful tips and tricks like "always consider character placement at the end of the movement phase" and typical pitfalls (and what you can do to counter them) when you are trying to plan and execute a "full game strategy"
Feel free to add your thoughts and cases. I'd be especially thankful for case studies with pictures, either from UB, BC or actual tabletops (as long as one can distinguish what's what and what's going on). Thank you for tackling a second no doubt stressful tactica. I think the approach you've laid out here should go a long way to addressing the concerns of the last one so kudos for adapting so well. I don't want to stifle criticisms but I think it shows a lot of willing on your part and if this is the first reply logged I hope others following it will keep all criticism constructive (and I'm confident that as a community we will). I suspect in your last one you largely took examples from your own blog because a) you know it inside out and b) you were describing a style of play you tend to focus on, but for this very open topic I think you're absolutely right to invite contributions from the community. Now that you've laid out this structure I will look out for examples (both genius wins and disastrous losses...and interesting points in between) when I read people's batreps on this site. 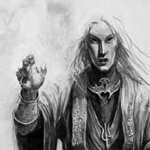 For folks reading your call to arms who might be new to Ulthuan I'd particularly recommend people read Swordmaster's blog for a detailed turn-by-turn break down, especially where there is a detailed post-match discussion which will probably highlight a lot of points on Curu's list (guaranteed if Hinge drops by for a back and forth). We're blessed with lots of great bat reps on here but I think he and Jimmy are flat out the most consistently top quality report writers I've come across and we're lucky enough to have a repository of their stuff here. Certainly across the forum I've no doubt that every example we could throw at Curu to discuss will be covered in a good quality batrep somewhere...the trick will be to find them . Structure looks good to me. Something I'm interested in addressing is playing and planning for T5 or T6 moves. Often I think it is somewhat easier to plan a single turn or maybe two turns ahead rather than plan for the late game. I'm not sure how to address this at the moment (other than it being an extension of early game planning and thinking ahead) but I have a feeling this might be more related to some MSU builds where you avoid for a while then attack at the end of the game. Maybe Swordmaster has some examples of this. Anyway it's late here and I'm worried that I'm rambling or somewhat incoherent with this one so I'll think on it and get back to you. It certainly can be a great strategy, against a slow army without much ranged threat, to run, hide, shoot and cast all game then set up a few augments/hexes and a grand cavalry charge on the final turn. I've used it to great effect in the past. But I'm sure almost every strategy could benefit greatly from long term planning. Article looks interesting, looking forward to it. This seems like a good starting point for your article, it's a topic that affects all of us but gets forgotten all too easily in the heat of battle - especially if something goes wrong early game (like auto-exploding archmages on T1 ). If I might make a structure suggestion, I would consider adding a Part 6: a short conclusion to highlight the key messages for people to bear in mind when playing their own games (either written as "Golden Rules" or as a summary paragraph). With regards to this point (and I appreciate this may be premature as parts 1-3 haven't even been written or critiqued yet), one thing I find horrendously difficult to deal with is deployment against dwarves castles in large point games. My opponent will ALWAYS deploy in the back corner of the board, artillery on a hill, with something like a 1000 point unit of ironbreakers/lords and a few shooting units. That takes up maybe an area the size of an army book plus a little bit extra. So what am I supposed to do with the 3/4 of my army that won't fit into that space? between all of my reavers taking up space, the combat units I need to get into combat with his big block ASAP so they don't get shredded by bullets, and then whatever other units I may have, I find that a good chunk of my army is almost invalidated by deployment as their chances of ever making it to a meaningful combat before maybe turn 6 are small. Very specific example maybe, but hey, it's something that may be worth writing about. I can try and cover this in my deployment article. Planning and playing for T5 and T6 is highly dependent on a number of factors, most importantly the army lists, the current turn and the evolution of the game, John. I will try and address general examples mixed into part 1 and part 3, with specific, complex examples in part 4. I'm reluctant to include a part about end game in itself as the topic's too broad to address here fully, given its complexity. Ladril Caledor what you describe is a very basic strategy that is commonly employed by WE. It is a great example for such a list as it's very basic and easy to understand, but I fear it's hard to incorporate in terms of High Elves and I do want to make this article High Elf centric. If you have or know of a report though, I'll be happy to look at it and see how it can be included. I was intending to merge your suggestion as part of Part 5, Orchaldor. It it ends up being big enough though it can certainly warrant its own part. I'll see how it evolves and make changes accordingly. Castling armies are a special kind of nut to crack, Wrathbaby. Dwarfs in particular. I'll see what I can do about this, but remember that deployment is not the main purpose here. I am hoping to touch on the issue in a general manner and then refer to the upcoming article by John for specifics and a detailed analysis With that said, I'll see if I can dig up such a game. If you see one, please report it back here! Something I was thinking about was planning and playing for a win (or big win) or playing for a draw. This is something I know from your blog (Curu) that ETC folk consider very thoroughly (the game in particular I remember was where you faced a terrorghiest behind a building and you refused to advance because you felt to do so would guarantee defeat - I remember calling you out on this and you defended the decision robustly...think you were either playing for the draw or certainly not playing aggressively, despite having usually an aggressive list). For example, a Swordmaster report I was reading he said that he knew to get big points from the game he would have to catch tetto eko. He realised this from the start so planned and played accordingly. Similarly in a VC game he knew he'd have to kill the vamp, probably through CR, to get big points...so set up the combats accordingly. By contrast when I was playing MSU there was a dwarf game I fought (and won !, but just a small victory) where I was over-focussed on a) dealing with the copters and then b) steering clear of his combat blocks which I didn't think I could beat. I was playing 'tactically' rather than 'strategically' in that if I hadn't been so concerned about winning individual battlefield match-ups and had considered more winning the overall battle then I would have had to take a much more pro-active, aggressive approach to isolate (and hopefully defeat) a dwarven combat block rather than just picking off the support. I can probably fish out refs to the individual reports I reference here if any of this is useful Curu, though I don't know if its stuff you wanted to cover in this one? Argh, I was kind of hoping I'd not have to address that, Ferny ^^ It is the topic of another article entirely, which was not voted for in this go around ("evaluating the matchup"). I guess I'll have to briefly touch on it. The game you are referring to which I played was SM #1 vs VC where my opponent had L4 Death, double Banshees, Crypt wall with mortis, blenderlord, huge ghouls and TGheist (basically the ETC netlist of 2014). It's a hugely stable army that you basically cannot push into unless you have super strong elements. My somewhat too-small PG, too-small WL and BOTWD-less Helms were in no position to break that castle. With the Loremaster's ability to destroy undead with Burning Gaze and Fireball though coupled with RBTs I could force my opponent out unless he would be willing to lose small (12-8 ish). Indeed he fell for it and I ended up winning 15-5 (in practice more like 17-18 but SM used bigger differences per point than what's normal). Just a one or two liner would cover it then Curu, to acknowledge the importance but put it aside for a more detailed article. One problem with these articles is finding the right balance between bredth and depth...so a reference to it here for bredth would cover it, and then a focussed 'depth' article another time would do it justice. Looking forward to reading this article, I'm sure it'll be very insightful for all of us. Appreciate the time you put in to this kind of work Curu! I think the the draft outline looks logical and thought through nicely. Earlier today I watched Furions most recent battlereport and after that rewatched the others(they are all excellent) and one thing that struck me was how good he was at managing characters and units. Meaning he is not afraid of taking his characters out of their bunker/bodyguard/Silver Helms if it suits his battleplan/purpose. You could include something about not getting stuck on keeping characters in the units you deploy them with. Consider the possibilities of charging out of the unit aka. plan B or C. In a recent game I planned on doing this but a Vanhels and some very fast zombies stopped that idea in its track. But I think it is a valuable thing to consider regarding plans in plans. I'm sure many players get attached to the idea that characters remain with the unit they started with, I know I have lost mages and Battlestarndards because I didn't even consider the possibility and it is only just know begining to sink in that I could just leave that doomed archer bunker in my own turn. Or charge that annoying ethereal model/unit with my prince and not necessarily my entire Silver Helm unit If I need them elsewhere. My only suggestions are including a section on the deployment phase, as this will generate most of your planning. And incorporate the opposing lists with yours, seeing what unit is able to handle which units, what can kill the enemy monsters, what does the enemy have that can kill your phoenix.